Last week I added a new package to the SUSE STABLE/factory tree. 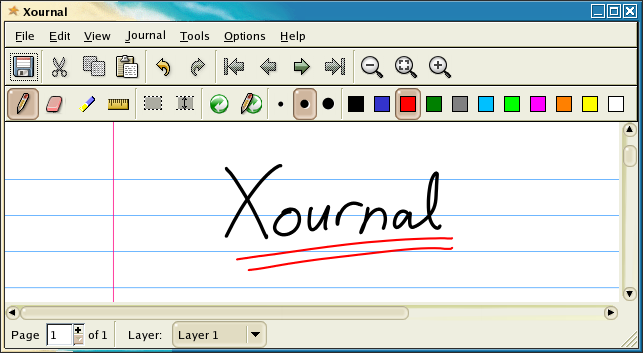 The package is called xournal and is an application for notetaking, sketching, keeping a journal using a stylus. Instead of Journal this is not written in Java, it's written in gtk2 and we could ship this package also on the OSS version. This extend the support for Tablet PCs. I think we get this package also in SLES and NLD 10. Now Jarnal and Yakuake, the package I added the last time, are aproved and now in state production. This mean they should be on the upcomming 10.1. release (Jarnal not at OSS version). I think releaseforge follows in the next days.